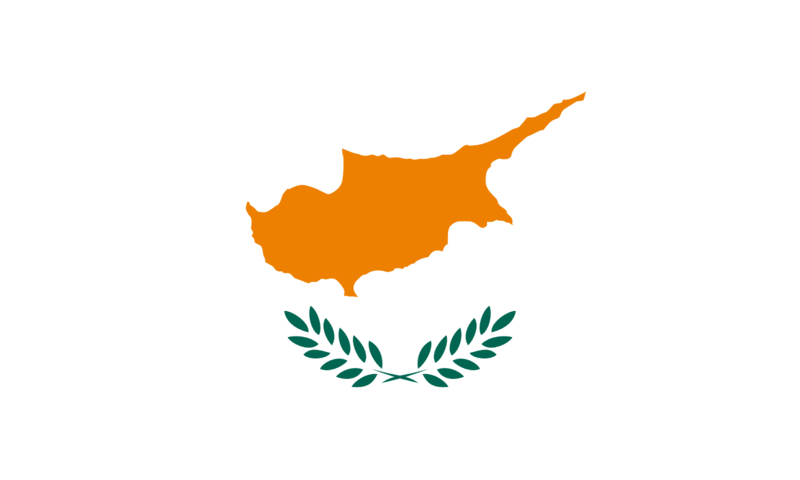 When Cyprus became an independent nation on August 16, 1960, a new flag was created as the result of a design competition. Under the constitution, the flag should not include either blue or red colours (the colors of the flag of Greece and the flag of Turkey), nor portray a cross or a crescent. The winning design was based on a proposal by İsmet Güney, a Turkish Cypriot art teacher. The design was chosen by Makarios III, the first President of the Republic, with the consent of Fazil Küçük, the first Vice-President. In the design of August 1960, the colour of the map is copper (Pantone 144-C). Both the crest and the two olive-tree leaves are olive green (Pantone 336-C). The background is white with the 3:5 ratio. In April 2006 the design was updated, the shape of the olive branches were slightly altered, its color was changed to Pantone 574, The copper color of the map was changed to Pantone 1385 and the ratio was changed to 2:3.